Stanton Road Capital LLC, a Los Angeles-based investment management firm, has completed the purchase of 2323 Grand, an 11-story, 321,000-square-foot Crown Center office building, from Assurant Inc. The deal which Kansas City Business journal reported on in December, includes partial ownership of a 1,300-space underground parking garage and a 2.3-acre surface parking lot covering the entire block bounded by 19th Street, 20th Street, Grand Boulevard and McGee Street. The development potential of that lot, which lies in the heart of the Crossroads Arts District, added to investor interest in 2323 Grand, said Gina Anderson, a vice president of capital markets in CBRE’s Kansas City office and part of the team making the Crown Center office buildings. The CBRE sales team also included Gary Carr and Robert Hill. Financial terms of the transaction were not disclosed. The office building, which represents Stanton Road Capital’s second acquisition in Kansas City, is 83 percent leased to a diverse base of creditworthy tenants. They include Sun Life Financial Services Co. Inc., the law firm Seigfreid Bingham PC and Thornton Tomasetti Inc., and engineering consulting firm. On-site amenities at 2323 Grand include a cafeteria with a dining room and outdoor patio, a fitness center and several conference rooms. Recently improved through a capital investment of $6.5 million, the office building overlooks Washington Square Park. 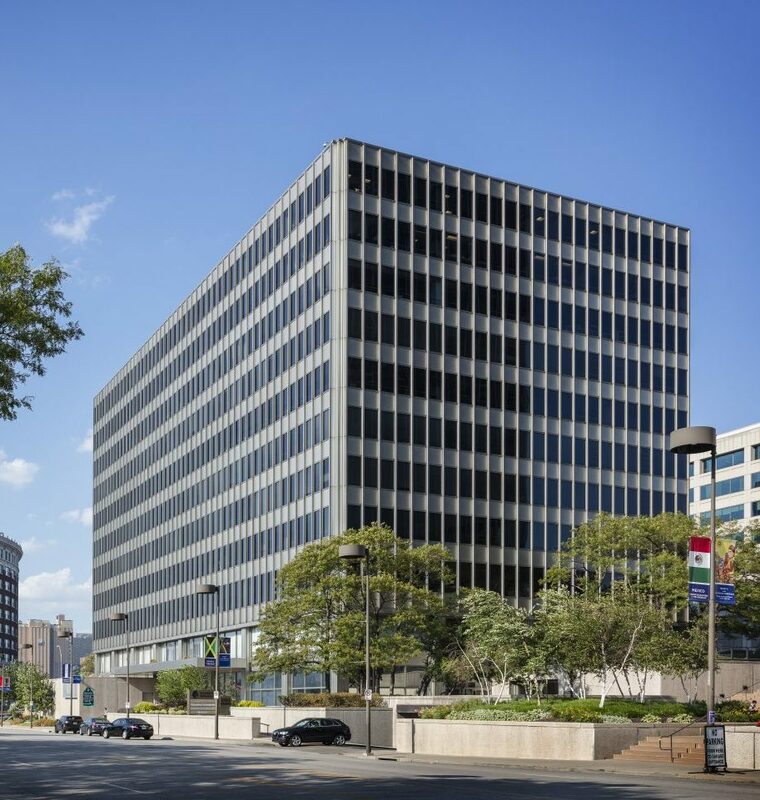 In 2016, Stanton Road Capital acquired its first Kansas City office property, the 16-story, 265,000-square-foot Plaza West building, also known as the bernstein-Rein building, at 4600 Madison Ave. Built in 1986, Plaza West was 91 percent leased at the time of its purchase from a joint venture between Highwood Properties and an investment group led by Angelo Mariani. Built in 1985, 2323 Grand was constructed for Mutual Benefit Life Insurance Co., which eventually became Assurant Employee Benefits.